....you are the chicken wings. 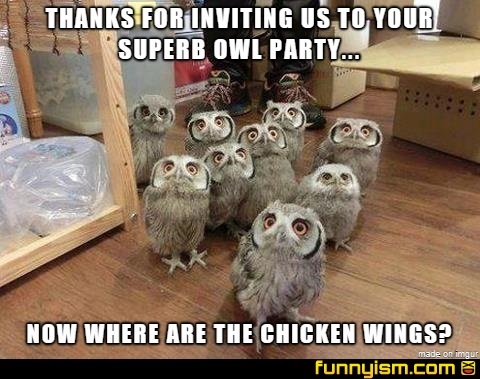 I don’t know HOO told you this was a party. It’s a kitchen. I love owls. That is all. Patience! You’re early. The rats I invited still think it’s a super bowl party. Oooh, i like this pun! Have an upvote and feast on it! Talk about a party fowl.